Dr. Madhu Gundavaram is board certified in internal medicine, pulmonary medicine, and critical care medicine. She received her medical degree from Kasturba Medical College in Manipal, India in 2001, and then moved to the United States to complete her internal medicine residency at Lois A. Weiss Memorial Hospital, University of Chicago Hospitals in 2005. 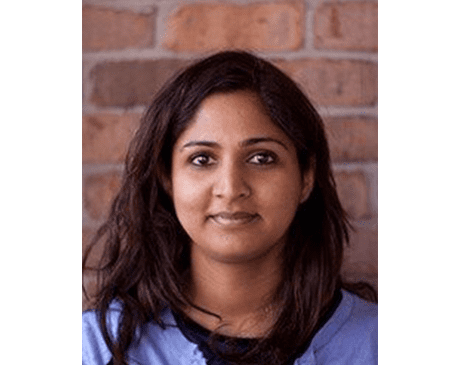 After her residency, Dr. Gundavaram practiced internal medicine for five years on staff at South Shore Hospital, St. Bernard’s Hospital, and Advocate Trinity Hospital in Chicago. In 2010, Dr. Gundavaram began a fellowship in pulmonary and critical care medicine. During her fellowship, Dr. Gundavaram also dedicated time to her training in sleep medicine, learning the latest advancements in sleep disorders and treatments. Shortly after the completion of her fellowship in 2013, Dr. Gundavaram joined the passionate team at Northwest Pulmonary and Sleep Medicine. Dr. Gundavaram sees patients in the office as well as examines and treats new consults and current patients in six area hospitals with which Northwest Pulmonary and Sleep Medicine is affiliated. Dr. Gundavaram is married and the mother of two beautiful children.